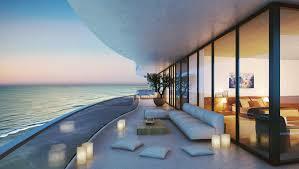 Broward Real Estate: The New Hyde Beach Resort and Residences In Hollywood! The New Hyde Beach Resort and Residences In Hollywood! Hyde Beach Resort & Residences boasts four hundred and seven impeccably finished and furnished one- to three-bedroom condo residences, situated just steps from beautiful Hollywood Beach. Each high-end condo features excellent amenities like floor-to-ceiling sliding glass doors and windows, imported stone counter tops and wide private terraces with glass railings and unobstructed views. All residences are completely finished and furnished, and almost every unit offers breathtaking views of the Atlantic Ocean. Corner residences even include direct ocean views and semi-private elevator access. Hyde Beach Resort & Residences rises forty one stories above the South Florida shoreline, and offers an incredible array of community and building amenities. Residents can enjoy a curated art collection, high-speed internet access, twenty four hour valet parking and security, room service, and a state-of-the-art fitness center and Infinity edge pool each of which overlooks the ocean. In addition to its charming location on the shores of Hollywood Beach, this prestigious address is just minutes away from world-class shopping at Aventura Mall and Bal Harbour Shops. The bustling all hours playground of Miami Beach is also within driving distance. Crystal Towers Condo on the Market in Hollywood! Botaniko Weston Is The Most Enviable Community! Charming Home For Sale In The Isles Of Weston! Boats & Bubbles At The Boatyard Every Thursday! Pine Tree Estate For Sale In Parkland!